At the February RFU Council meeting we received two presentations, one from England Sevens coach Ben Ryan in the morning and another in the afternoon from Stuart Lancaster, interim Head Coach of England. I’ll write about Ben’s presentation here and about Stuart’s in a future article. 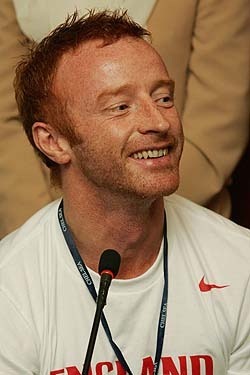 Ben Ryan’s passion for Sevens is clear. The improvement in results and consistency over the years since he has been coaching the side has seen the team average 3rd place in the world in the past three years. The change to central contacts has helped enthusiasts of the sevens format like me to get to know the regular England players such as record points scorer Ben Gollings, Tom Powell (ex-Cambridge), and speedster Dan Norton. 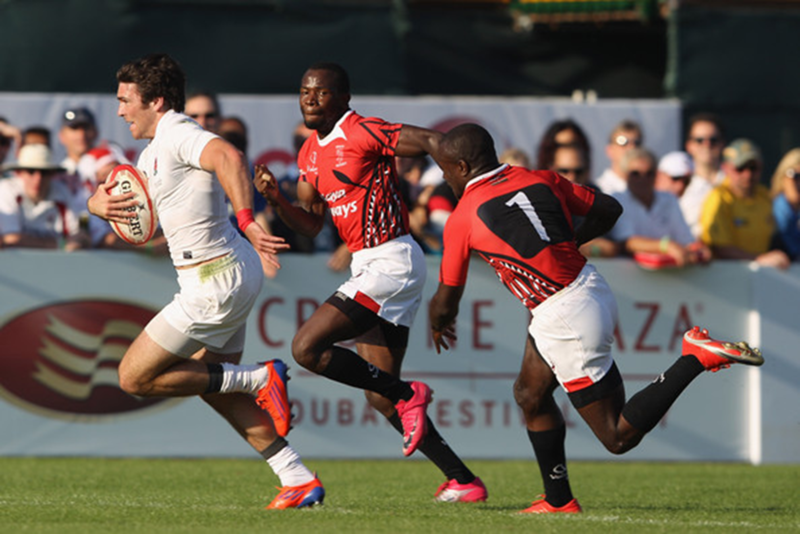 The video below shows the seven top tries from the Dubai 7s in 2011 with Norton scoring three of them. The best one for me is the penultimate try (about 2½ minutes in) where he outsprints the New Zealand winger who couldn’t get anywhere near him. Soon after Ben took over he was at the Wellington Sevenss in New Zealand and he saw some of the New Zealand players leaving the hotel early on match day to do some training. He was curious as to what they could be doing so he followed them. He saw them doing sprint training up one of the city’s steep hills and wondered how they could do that just five hours before their first game. It dawned on Ben that the players in his squad weren’t fit enough to do the same and so they wouldn’t be fit enough to consistently beat the best teams at sevens. And from that point he aimed to make the England players the best they could be. The nature of sevens is that any team on their day can beat any other, but for Ben the formula for success is Condition, Consistency, Competition and Class. The training regime Ben has put in place has increased the level of condition of the players. In a series of minimum standard tests he developed, none of the England players passed in 2008. A year later they passed. Ben showed us a video of the players going through the gruelling tests which saw some of them pass out through the extreme exertion they went through. Central contracts has meant that he no longer has to beg and borrow players from Premiership clubs giving him consistency. There were eight tournaments in the series, now there are nine and soon a tenth will be introduced making a gruelling schedule for the European based teams in particular. They play in five continents over 6 months, travel around 80,000 miles, and can change time zones from GMT +12 hours to GMT –9 hours in the space of two weeks. This, along with the newly introduced FIRA tournaments has given him the competition structure to try out players. As for Class, England is now one of the big five along with New Zealand, Fiji, South Africa and Samoa that all the others see as the ones to beat. The team is currently lying in fourth place at the mid-stage point in the series with the Hong Kong Sevens coming up towards the end of March. 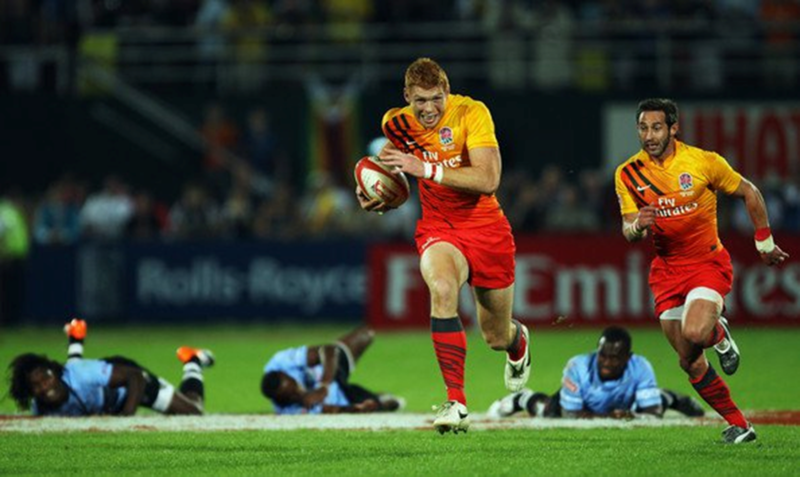 The inclusion of sevens in the Olympics has raised its profile with the London Sevens attracting over 100,000 spectators over two days in 2011. That number could increase to nearer 150,000 this year. Listening to Ben talk about England Sevens was inspirational. He knows the place of the shortened game in the rugby world and that 15-a-side is dominant, and nearly all of his 7s players go on to play 15s at high levels. But his ideas and drive to make the England team the best has seen them rise from a useful team to amongst the best in the world, and he wants to make them number one. If you are free on the weekend of May 12 and 13, make the effort to get to Twickenham for the IRB London Sevens. It is fast, exhilarating, non-stop entertaining rugby, and England could well lift the trophy as they did in 2010.